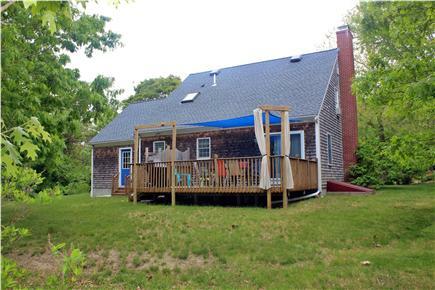 This beautiful 'Cape' home is located in a lovely neighborhood. It has access to the bike trail at the end of the street as well as to Stony Brook Elementary which hosts the Brewster Whitecaps Cape Cod League baseball games. There are also public tennis courts and a huge child's playground located at the school, about a minutes walk away. Many of Brewsters beaches are within a 10 minute drive. The home features a spacious, updated, well equipped kitchen with dining area and sliders out to the deck for summertime grilling and relaxing. 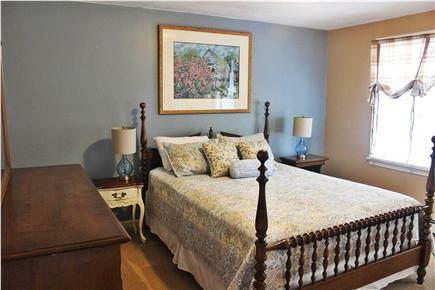 The main floor has a queen bedroom and full bath. Upstairs, there is a queen bedroom, a bunk room for kids, and a second full bath. There is also an outdoor shower. Please note that bed linens and towels are NOT provided with the house. Mattress pads, blankets and pillows ARE provided for each bed. There are beach chairs, boogie boards, two beach umbrellas, shovels and sand toys, as well as some bicycles and helmets in the garage. Just around the corner from the house are bike rental shops, restaurants, ice cream shops, etc, all close enough to walk or ride to. We now have A/C units in the bedrooms! This house is awesome. Our family of four stayed for one week and each of our 2 children brought a friend. There was plenty of room for all of us. This house was perfectly clean and has a great outdoor shower. Hope to go back next summer. The owners were great to deal with and always gave us a quick response. The house was clean, so close to the bike trail and local baseball! Outdoor shower was great. Variety of bikes to choose from and ride. Extra bonus that they had umbrellas, chairs and sand toys to use! Thank you for the stay! We love Shell Cottage! We have stayed here twice and are planning to book again. 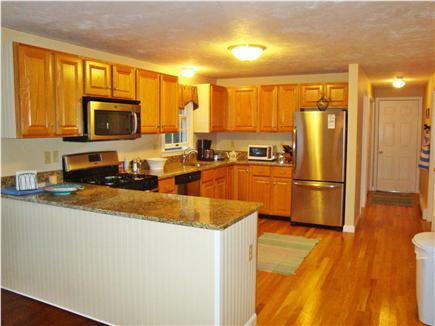 It's perfect for families - lots of games, well stocked kitchen. Always comfortable, clean, close to the beach. We definitely recommend it! Wonderful home and it just gets better! We have stayed at this home for two summers in a row, and we absolutely love it. The house is comfortable and nicely furnished. The upstairs bedroom/playroom is fun for the kids and and the spacious back yard, deck, hammock, and outdoor shower are fantastic for adults and kids alike. No need to go down to the basement as the washer/dryer are just off the kitchen. No need to bring bikes or beach gear, as the garage is stocked with everything you could ever need. This was our second year renting this house and we are very pleased. 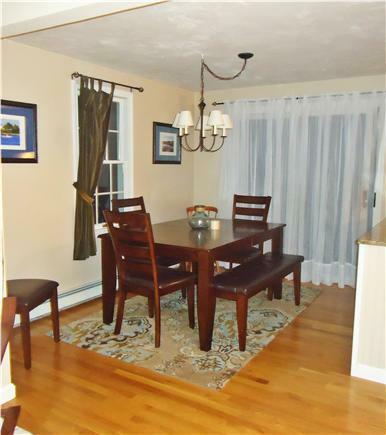 The house is centrally located in Brewster and great for families. A nice plus for baseball fans is the walking distance to Brewster Whitecaps games. We hope to return. I rented this house for my 2 adult children and families, 7 people all together. It was just what I was looking for, as I live a few houses away on the same quiet street. This house more than lived up to our expectations, the great back deck for eating, the outdoor shower after the beach, and a garage full of bikes of all sizes and many beach “toys.” An added bonus is the foot path to the elementary school, with a playground and tennis courts, and the bike trail. Perfect for a family. This house was absolutely wonderful! 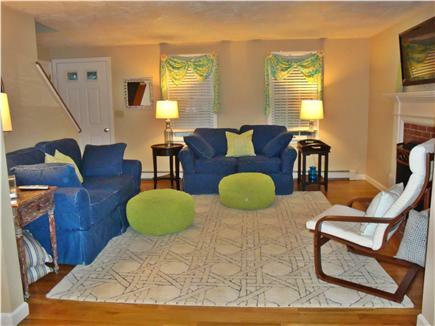 It was impeccably clean, and the owners provided everything we could need for our vacation on the Cape. The kitchen was fully stocked with cooking equipment, the beds and pillows were very comfortable, and the location was wonderful. The owners are also lovely people to deal with. I would highly recommend this vacation home! Wow!! This place has everything you could think of for a rental. I am picky about cleanliness, and this home is extremely clean. You feel like you are at home when you are here. 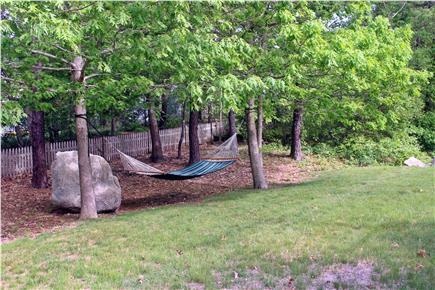 The hammock is perfectly situated in a nice, relaxing spot in the back yard. The house is very nicely located near the bike path without having to get on a main road to access it. One of my favorite things about a Cape house is the outdoor shower, and this outdoor shower is the best I have ever used or seen, perfection! My entire family and visitors loved this house, they were so comfortable and happy. For me Brewster has the best Bay side beaches and wonderful ponds, it is the place to be. The house is also in an easy location if you are wanting to explore other towns. We had a great time at this house and location. Everything you need to have fun! Kids loved the bunks and room to themselves and we enjoyed eating outside each night. 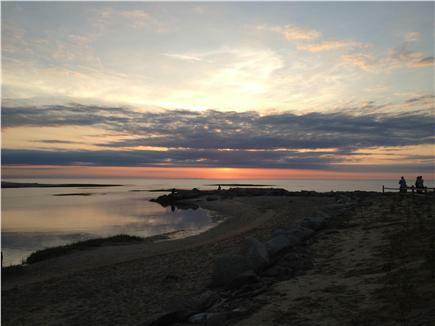 Great place to start and explore new beaches each day on the Cape! Brewster is the place to start from, lots of places close by for eating out, keeping busy and fit!